Cellist Ashok Klouda has performed all over the world and currently leads a busy and varied career combining solo performances and teaching with a variety of chamber music. Ashok made his solo Wigmore Hall debut in 2010 as a result of winning the Worshipful Company of Musicians/Concordia Foundation Young Artists Fund award. He has won many other awards and prizes, including 1st prize in the 2006 J. & A. Beare Solo Bach Competition, the 2007 Royal College of Music Cello Competition and the 2009 Tunnell Trust concert scheme with pianist Joseph Middleton. Currently a member of the Artea Quartet, Ashok is also a member cello octet Cellophony and the London International Players. 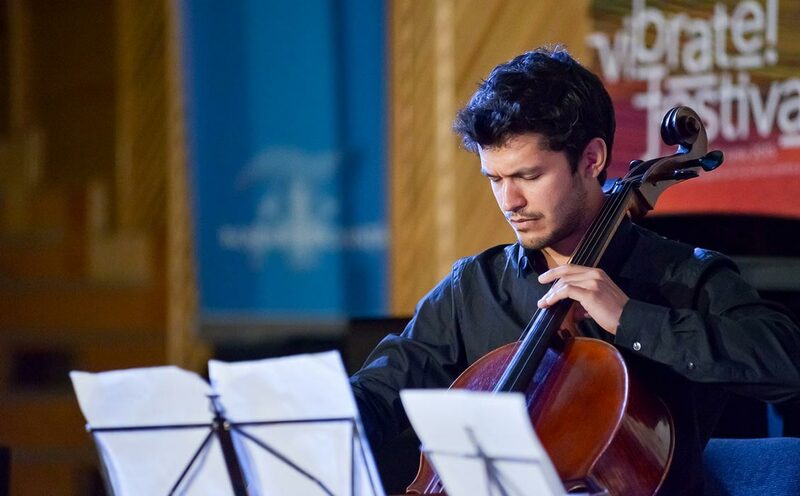 From 2009 to 2011 Ashok was cellist in the Barbirolli Quartet, during which time he toured Singapore and New Zealand, appeared throughout Europe as part of the ECHO Rising Stars scheme and performed on the 1692 Segelman Stradivarius cello kindly loaned to him by the Royal Academy of Music. Passionate about both performing and teaching, Ashok is a member of the Advisory Board for The London Cello Society and has taught cello at the Yehudi Menuhin School, given a Performance Class at the Royal Academy of Music and chamber music classes at the Guildhall School of Music & Drama. Ashok has performed many times on BBC Radio 3 and he has recorded for the Nimbus Alliance label with the Barbirolli Quartet, and for the Music Chamber and Edition Classics labels as a member of Cellophony. Ashok is a Founder and joint Artistic Director of the Highgate International Chamber Music Festival in London, in which he has performed with musicians such as Nicola Benedetti, Irina Botan, Natalie Klouda, Priya Mitchell, Wu Qian, Daniel Rowland and Alexander Sitkovetsky. Ashok performs on a cello made in 2012 by Tibor Szemmelweisz.